HONG KONG, Apr 15, 2019 – (ACN Newswire) – The term “technology” has a broad meaning and can be hard to clearly define when it comes to understanding how it directly affects the public at large. 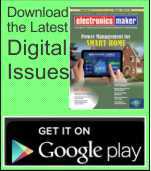 But affect us it does, and will continue to do so in immeasurable ways as our world becomes increasingly intertwined with innovations and advancements that would have been inconceivable just a decade ago. 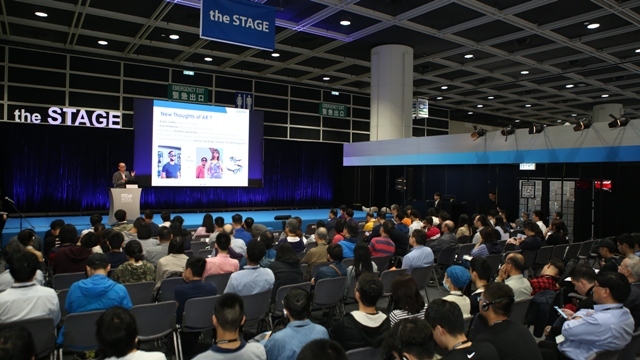 This was the consensus reached at a symposium staged as part of the 16th HKTDC Hong Kong Electronics Fair (Spring Edition) and HKTDC International ICT Expo, both organised by the Hong Kong Trade Development Council (HKTDC), which are running from 13 to 16 April at the Hong Kong Convention and Exhibition Centre (HKCEC). 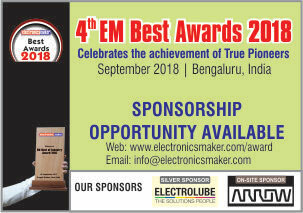 Many of the world’s leading technological companies have gathered at the two fairs to share insights, research and innovative product lines that cover the gamut of consumer technology. 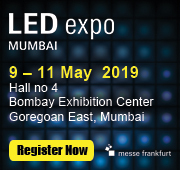 Some of the industry’s leading experts took to the stage at the flagship event, “Tech Trends Symposium 2019 – Roadmap to the Future”, on Saturday (13 April) to discuss technological advancements in their respective fields. In the afternoon session, titled “Futures Realised: Technologies and Innovations in Arrays of Life”, it was highlighted how the most cutting-edge areas of technology – from augmented reality to artificial intelligence – are now being used to enhance our everyday lives. 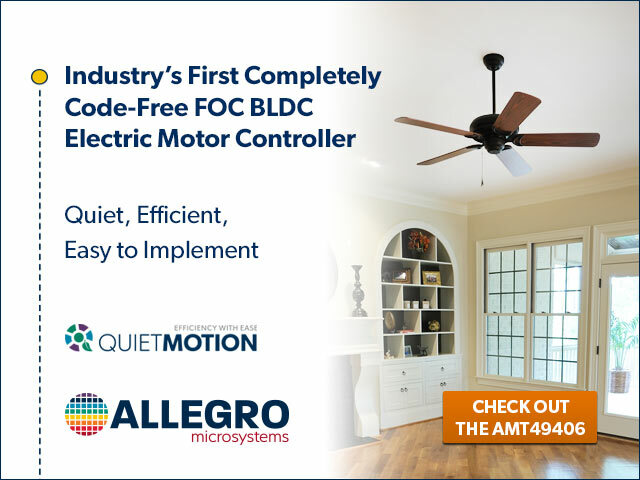 Some of the most talked-about innovations are now on the brink of effecting ground-breaking changes for the consumers they reach. 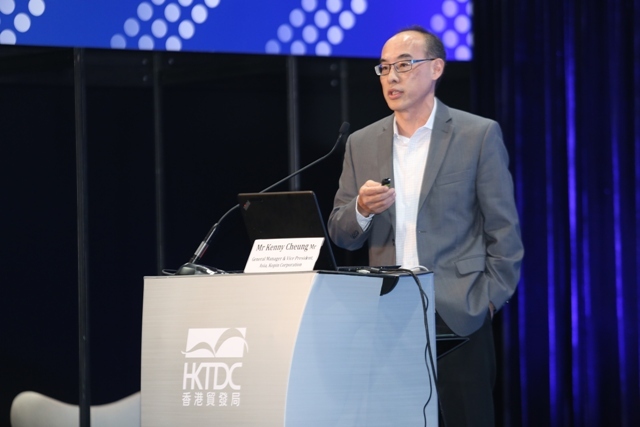 The “Tech Trends Symposium 2019 – Roadmap to the Future”, organised as part of the HKTDC Hong Kong Electronics Fair (Spring Edition) and HKTDC International ICT Expo, gathered an array of industry experts to share exciting advancements. The afternoon session of the symposium on 13 April spotlighted “Futures Realised: Technologies and Innovations in Arrays of Life”, with speakers highlighting how advanced technologies are enhancing aspects of people’s everyday lives. In 2018, the global market for augmented reality (AR) and virtual reality (VR) was Rmb 70 million, or roughly US$10.4 billion. That number looks set to grow exponentially, and is expected to exceed Rmb 200 billion by 2020, according to Kenny Cheung, General Manager and Vice President of Kopin Asia, who spoke on the topic of AR/VR. 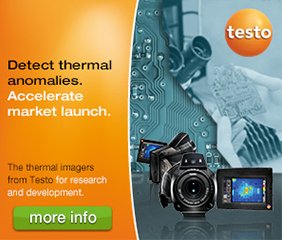 The practical applications of these technologies outside of gaming, enterprise or military applications might not seem obvious, but much of that has to do with finding the right fit – literally. “Every time I try VR, I find it is really not easy,” said Mr Cheung, explaining that the weight and cumbersome nature of the headset commonly used in VR gaming makes it impractical to wear for very long. “A lot of people think display is one of the major roadblocks to make VR and AR widely popular,” he explained. 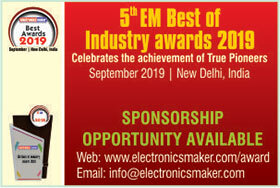 Kopin, an electronics manufacturer based in Massachusetts in the United States that specialises in display devices for mobile electronics, has refined its AR hardware to mimic the style of ordinary glasses, said Mr Cheung. The result is Kopin’s SOLOS smart sunglasses, a stylish line of wearables designed with professional cyclists and runners in mind. Developed with feedback from Team USA Cycling, these sunglasses can deliver real-time information to the wearer about pace, heart rate and distance travelled, among a host of other useful features. Most impressively, explained Mr Cheung, Kopin has partnered with a software platform that delivers a live coaching regimen during a workout, allowing athletes to receive complex coaching directives remotely as they train. Their performance and other vitals are recorded and sent directly to their coaching team, who can then feed back to the athlete at a later point. The advantages for competitive sports are obvious, and it is compelling proof, said Mr Cheung, that solving the idea of wearability is key to expanding the use of AR/VR. Speech is something so integral to our everyday lives and how we experience our world that we often don’t stop to consider its complexity. Research by Helen Meng, Patrick Huen Wing Ming Professor of System and Engineering & Engineering Management at the Chinese University of Hong Kong (CUHK), has focused intensely on this topic, in areas such as speech recognition and synthesis, in the pursuit of developing assistive applications for people suffering from speech disorders. 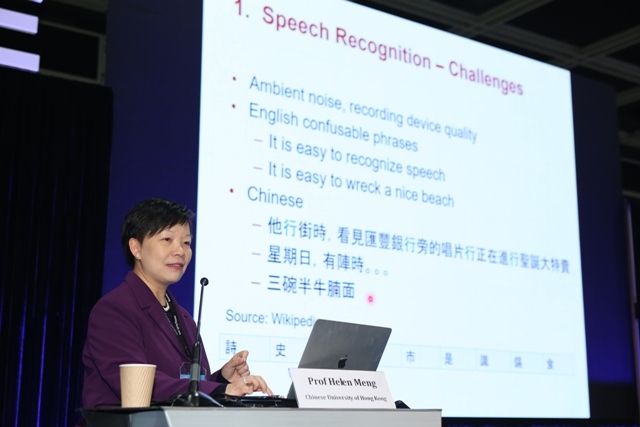 Presenting her CUHK research, Professor Meng detailed how she developed the world’s leading program capable of understanding the speech of people suffering from dysarthria, an impeded articulation of speech that results from stroke or cerebral palsy. By working with patients with dysarthria, and assisted by deep learning, her team now boasts a speech-recognition program capable of understanding the words of affected patients with about 70% accuracy, representing a life-changing development for anyone suffering from loss of speech. Autonomous driving is the future of our roads, but it’s going to take more than just robots in cars to get there. 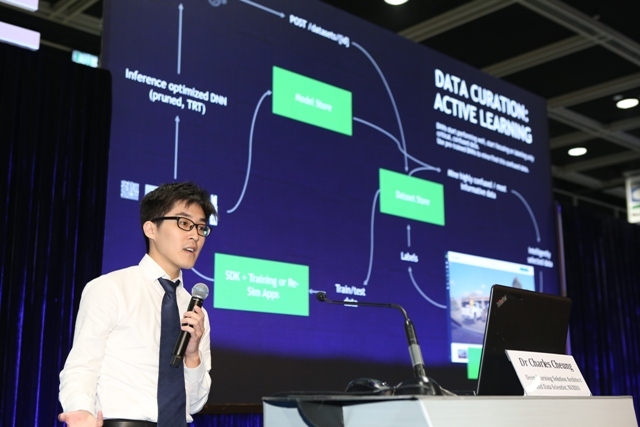 Charles Cheung, Deep Learning Solution Architect and Data Scientist at American technology company NVIDIA, outlined the incredible scale of data collection, analysis and testing that was required to make autonomous vehicles a reality. “Actually, we cannot just put our AI model into the cars and let it run through the miles to wait for the result,” said Mr Cheung, explaining that it could take upwards of 500 years to acquire the necessary training to match a human’s performance of safely operating a vehicle. Instead, said Mr Cheung, his team developed NIVIDIA DRIVE Sim – simulation software that tests different scenarios and environments without the need for an actual road test in the real world. By artificially building and manipulating the environment within which an autonomous driving model operates, the model becomes more intelligent, nimble, and safer for the individuals who will ride in the self-driving cars of tomorrow. Around 80% of people affected by sleep apnea, or irregular breathing patterns during sleep, aren’t aware they suffer from the problem. What might seem like an annoying snoring issue could actually be a medical condition that can develop into more serious ailments such as depression, heart disease and diabetes. 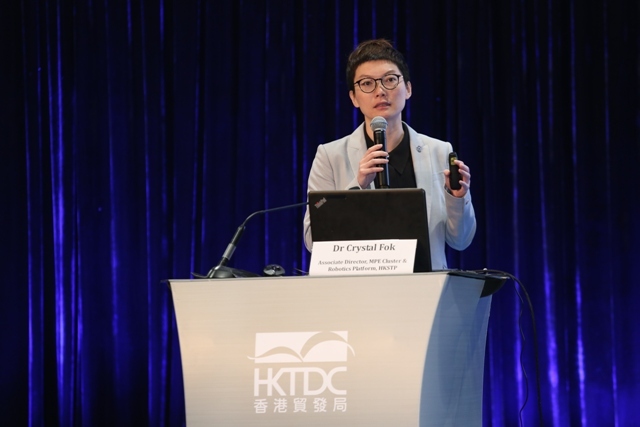 Crystal Fok, Associate Director of the MPE Cluster & Robotics Platform at Hong Kong Science and Technology Parks Corporation (HKSTP), took to the stage to detail how advancements in biomedical technology could help physicians to diagnose and treat patients more effectively. Ms Fok spoke about Belun Technology Company, a Hong Kong-based start-up that developed a medical-grade wearable ring to help diagnose sufferers of sleep apnea in their homes. Previously, to medically diagnose the condition, sufferers would need to sleep in a lab for a nocturnal polysomnography, or sleep study, that could prove expensive in terms of time, money and resources. Ms Fok said that wearable technology paired with cloud data collection represents a perfect example of the impact smart innovation can have in the quality of life of patients. Ms Fok examined various other state-of-the-art advancements, including streamlined diabetic retinopathy tests for diabetes patients at risk of going blind, and robotic arms capable of finding and removing hard-to-reach lung tumours in record time. Paul Mullen, GM at Anders, Puts the Future of Displays, On Display!